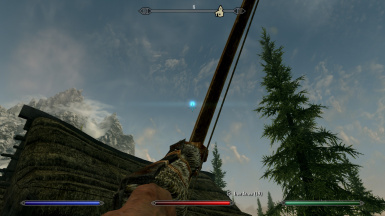 Adds glowing tracers to arrows. Fully MCM configurable colors and duration. I'm tired of this...Beth, Nexus, SkyUI-Team...anyone else? I really don't know. You should all feel credited! Another Mod. Obviously! 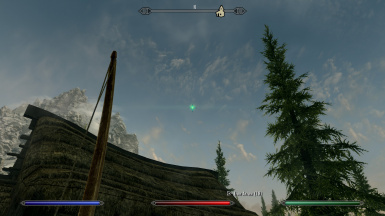 In particular a Mod that adds glowing tracers to arrow projectiles. 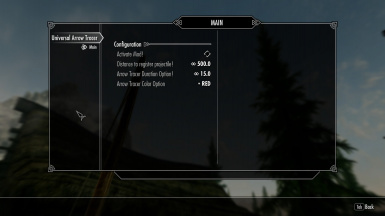 It comes with a MCM menu to configure color, and duration of the tracers applied to arrows. How would you allow for such beautyful color on arrows? 1. register for animation "BowRelease"
The various colors are defined inside the various meshes. I simply browsed through all magic effect meshes, until I figured one that's suitable, and then changed the gradiants inside the mesh to apply different colors. A script will then determine which color is chosen inside the MCM, and apply it to your shot arrow. But, but this will not cover custom arrows, from custom mods, with custom support on my custom superduper custom built computergame? Yeah, because doing so will greatly bug the function out. Utilizing GetNth from GetNumberRef in cell, to register the projectile on the fly, is 1. much more taxing, and 2. does not 100% work all the time. Also, during testing I figured, the function would bug out at one point, and not register any flying projectile whatsoever. This specially happened, when I was firing arrows in a quick sequence. Nope. 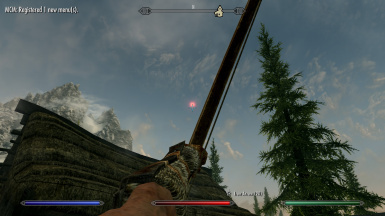 The only bug I found I added an MCM option for, to fine tune for your super duper custom build arrows. But can we add custom arrows to the function? Yes, you can, the old fashioned way. Load the mod into xEdit, find the FormList, copy as override into a new plugin, then drag and drop your custom build projectiles(not arrows), into the FormList. Will you please give a more detailed description? I don't know what else to say. If you don't have any questions, I suppose everything's working to suit your needs. Can these be used with the Xbox 360? This is blasphemy? Why would you use tracers like in a modern game shooter? Because I can, and it looks awesome. Could you add this or that function?